Danielle is a nationally board-certified Physician Assistant. 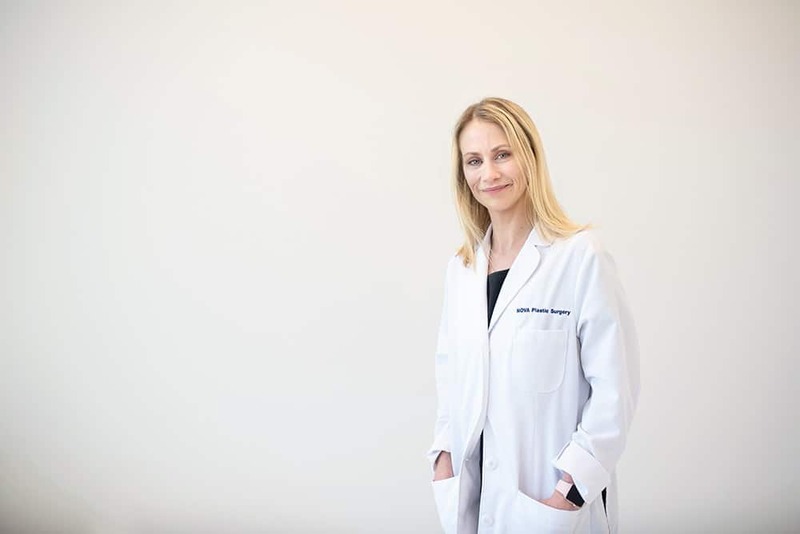 She graduated from Stony Brook University School of Medicine in Stony Brook, NY, and was awarded her Master’s Degree of Physician Assistance in 2008. Danielle has gained incredible knowledge and skills working in the fields of Pediatric Neurosurgery, Interventional Radiology and Dermatology. Danielle joined NOVA Plastic Surgery in 2017 where she enjoys applying her clinical and aesthetic background to help patients of all ages achieve their cosmetic goals. Danielle and her family reside in Brambleton, VA. When she is not working she enjoys spending time outdoors, traveling, attending local events and spending time with her husband and two children.